Extend the range of your laptop or desktop computer with this new high powered USB wireless adapter. This weatherproof adapter is great for any boat or RV application. To use the RadioLabs WiTube you will need a Directional or Omni-Directional antenna. To review RadioLabs' antennas please follow the links below. Are you looking for an all weathered, ruggedly designed, USB device that will plug in directly to your Windows computer. 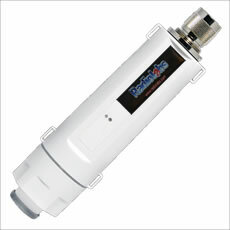 If you own an RV or a boat, or just need a good long range outdoor Wi-Fi adapter, then the Wi-Tube is perfect for you. With 500 mW of power, this is by far the best weatherproof USB adapter on the market. Available in 802.11 b/g and 802.11 b/g/n models. B+G speed is for more reliable signal strength, and B+G+N is for faster networking speeds. This device has a N-Male connector and will connect to most antennas with an N-Female connection. Just screw the connector to the head of the Wi-Tube, sit back, and watch the signals come to you. Sounds simple, doesn't’t it? Comes with a specially shielded 5 meter (16 feet) USB cable that is specially designed to prevent power loss. Interested in how secure your connection is with the Wi-Tube? The device features 64/128-bit WEP encryption, WPA, WPA2, TKIP and AES. You can set the parameters for your security through the configuration utility screen. The Wi-Tube does not come with an antenna, and does require one to operate. You will need to purchase or already own a compatible antenna to use this. It does not have any type of internal antenna, and indoor use is not recommended. 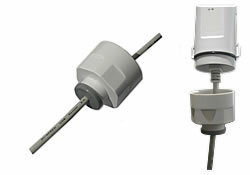 High-Power 1W with N-type male antenna connector for long-Range Distance. Support wireless data encryption with 64/128-bit WEP, WPA (TKIP with IEEE 802.1x) and AES functions. Support driver for Windows 2000/XP / Vista/Windows 7, Apple Mac and Linux. Supports auto-installation and diagnostic utilities.